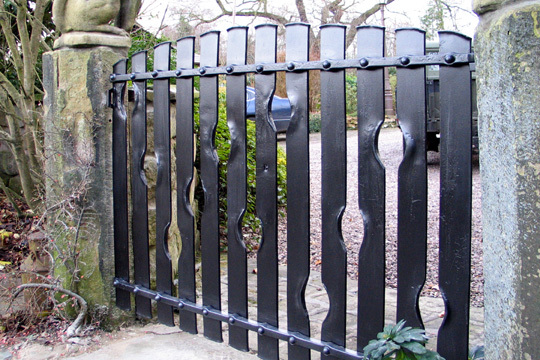 This contemporary metal garden gate illustrates how we enjoy designing and making modern and contemporary metalwork using traditional blacksmithing techniques. 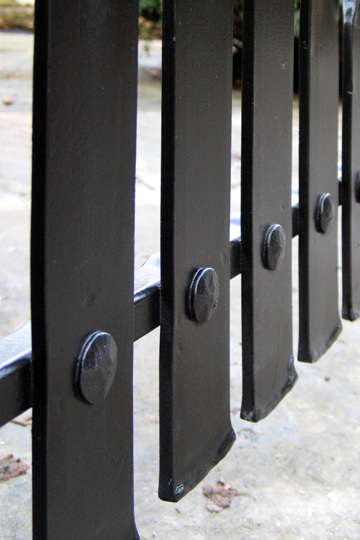 Wide steel bars were used to give an initial impression of a wooden gate. 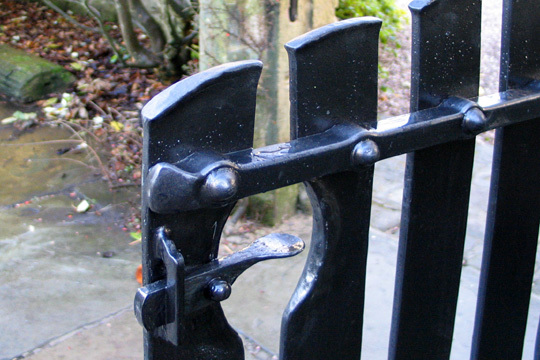 However, on closer inspection, the detailing reveals that the gate could only have been made using metal. 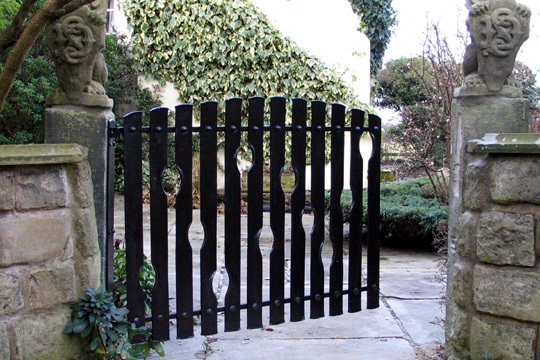 The "gaps" in the gate were not simply cut out. Instead the metal was moved away by forging and hammering it to shape. 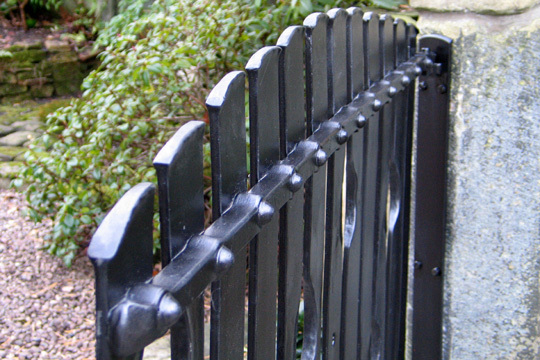 This created the swellings around the gaps; a subtle and attractive detail typical of our commissions. 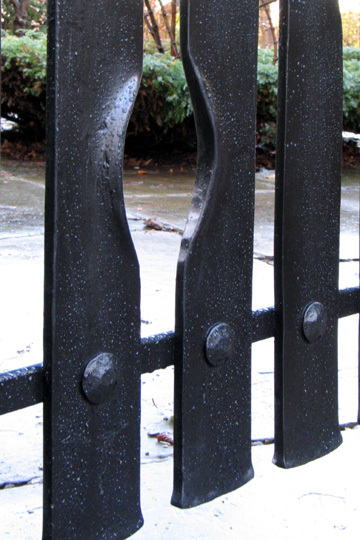 The gate was not welded, instead all the joinery was made using rivets in hot punched holes, adding to the rich detailing seen throughout the gate.